So you’ve put your Breckenridge, CO home on the market. Yet for some reason it just isn’t selling. Why? There could be a number of explanations and they aren’t all related to the asking price. Today we’ll look at a few possible answers. When potential buyers view a home that is cluttered with the current owners’ belongings, it can be a turn-off. A house that is filled with clutter can wind up overwhelming the house hunter. 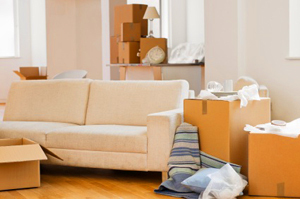 Even though a potential buyer knows all your belongings will leave with you, it can be hard to picture the empty rooms they hope to move into. Some home shoppers will just give up on a home that they see as too full. The best advice I can give is to start planning your move before you list your property. You might want to rent a storage locker and put some of your boxed possessions in it ahead of time. It will enable possible buyers to see past your belongings and envision how much space is available. A well-staged home allows people to imagine how the space might look with their items in the house. We all know that emotions can get tangled up with any home. If you’re asking for top dollar or keep placing more contingencies on the sale it’s possible that you’re just not ready to move. This lack of true determination to sell can make you set the price too high, dismiss your realtor’s recommendations or even not clean your home thoroughly enough. Any one of those factors may easily sabotage the sale. When buyers tour a home, they don’t want to see any dust or dirt. It’s a real distraction. Potential buyers have a difficult time appreciating the property’s possibilities as soon as they spot uncleanliness. Even though you keep your home as clean as possible, buyers may have a higher standard. Many homeowners looking to sell hire a professional cleaning service to make sure their home is sparkling clean. You only have one chance to create a positive first impression. Some home buyers will look at a home needing repairs and think, ‘I can take care of that no problem’, but other home buyers might think twice. Even if the property is fundamentally sound, a long list of neglected fixes can ruin the sale. I can’t stress enough how important it is to maintain your home. Not only will you get the most out of it while you’re living there, but it will be in great shape by the time you want to sell. Today’s buyers are technically savvy. They like to be well-prepared for seeing a home in person that might interest them. To get a good idea of this property, a large majority will check out a listing online before setting up an appointment for a showing. Because of this desire to view information online, it’s essential that your pictures are appealing. If you have blurry or confusing images, you could lose buyers who might otherwise be drawn to your home. Make sure your pictures truly reflect everything your home or condo has to offer. Good lighting, clear shots and uncluttered surfaces will help ensure your home looks its very best in your listing photos. Having a home sit on the market week after week can be discouraging. If you feel like your Breckenridge home should be selling but isn’t, get in touch. Hopefully these tips will give you some insights you can use to attract more potential buyers to your door, and we’re always happy to discuss your position in the market in greater detail. Get in touch at any time via email ([email protected]) or on my office line. I look forward to working with you!